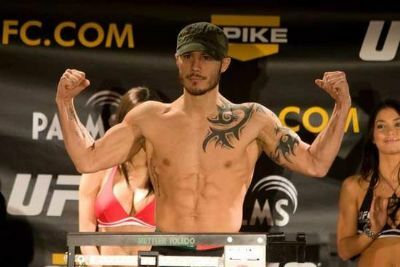 A new fight has been confirmed for the next One FC event, Roger Huerta (21-6-1-1) will take on MMA veteran Phil Baroni (14-14) in June. One FC: Destiny of Warriors is set to take place on June 23rd, at Stadium Negara in Kuala Lumpur, Malaysia. Roger Huerta has been on a slide recently having lost his last three fights in a row. He was beaten in the Bellator promotion by Pat Curran and Eddie Alvarez. In November he lost to “War Machine” as a welterweight after fighting as a lightweight previously. Huerta formerly fought for the UFC starting out in the promotion back in 2006 at UFC 63, building up a six fight winning streak defeating notable fighters such as Leonard Garcia, Alberto Crane, and Clay Guida. The streak ended when Roger lost a decision to Kenny Florian at UFC 87 and then lost his following bout against Gray Maynard. Huerta’s only victory since then was against Chad Hinton at Bellator 13. Huerta now has the chance to snap his losing streak and pick up a much needed victory. Phil Baroni is also a UFC veteran and will now look to resurrect his career with a big win. He enters this fight coming off a loss to Yoshiyuki Yoshida at the “One FC: Champion vs. Champion” event which took place in September of last year. Prior to that fight, Phil picked up a decision victory over Nick Nolte at Titan Fighting Championships 17, bouncing back from his loss against Brad Tavares at UFC 125.